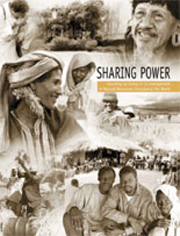 This file presents articles written by Mary Rodeghier and Clara Jamart, based on « Sharing Power: Learning by Doing in Co-management of Natural Resources throughout the World ». This collective work was published in 2004 by Grazia Borrini-Feyerabend, Michel Pimbert, M.Taghi Farvar, Ashish Kothari, Yves Renard et al. It offers an overall reflection on the shared management of natural resources and tools needed. Our intention is to provide syntheses that make main elements of this publication available and understandable for all. This file contains four major articles that highlight the main ideas of the book. Each of these articles is then illustrated with additional information that specifies the analysis and provides concrete examples of tools for co-management. Issue 1. Co-management and effective governance. Is co-management more effective than the non-concerted management of natural resources? Co-management agreements. What are the different kinds of co-management agreements, from informal to legal? What is decentralisation? Why is it an interesting tool to promote a sustainable co-management of natural resources? Issue 3. The sustainable management of natural resources is a political choice. What policy instruments create environments favorable to co-management? Issue 4. Natural resource management and participatory democracy. Equitable and inclusive political processes in support of sustainable natural resource management. How might participatory democracy be privileged? How might the efficaciousness of participatory methods be ensured?